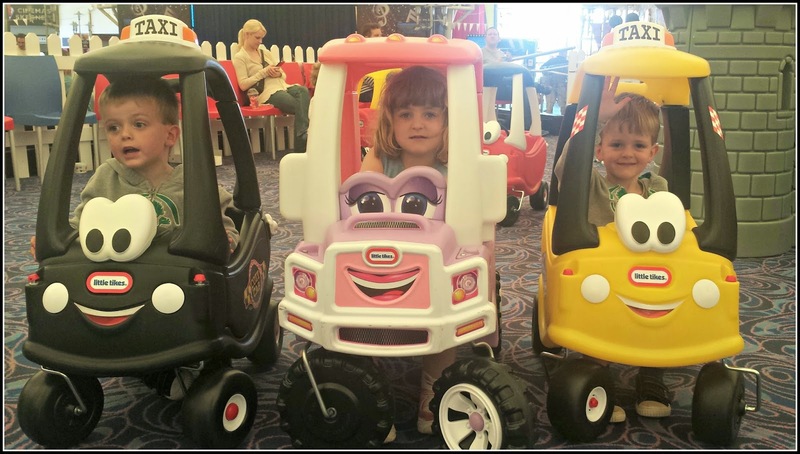 A few weeks ago we returned from Skegness, we had been fortunate to have been invited as part of the #ButlinsAmbassadors programme, to experience a Just for Tots break. 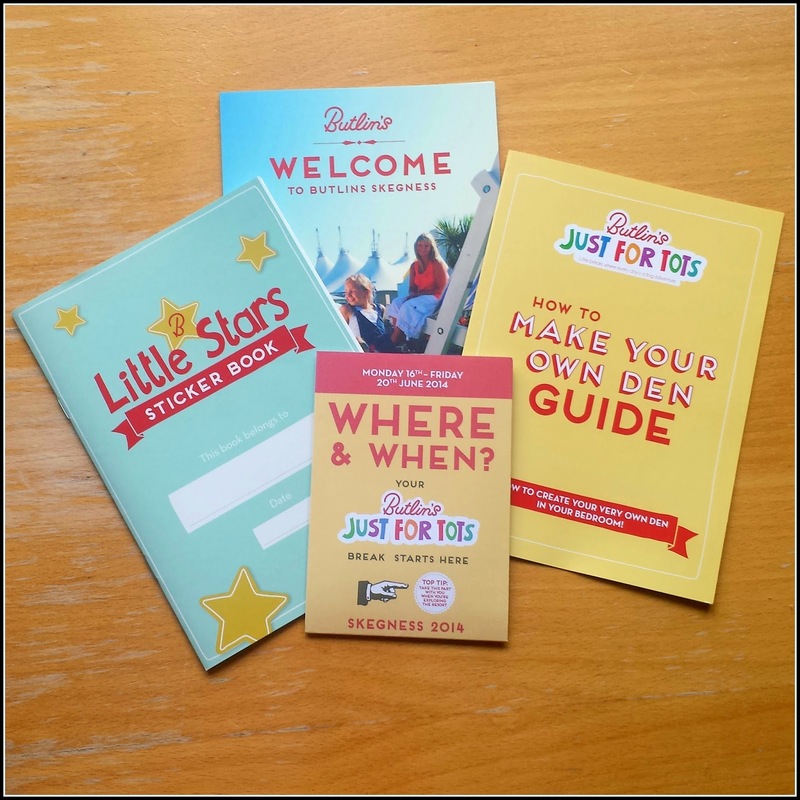 #JustforTots breaks were introduced by Butlin's earlier this year. Focused on pre-school children, Butlin's aims to make holidays devoted just to them. Which is great, because if you're anything like me, if they're happy, I'm free! Arriving at Butlin's Skegness, it was instantly clear the break was different to our previous experiences. The children were given activity books as we checked in, and our accommodation had a special den making guide. Which was great for us, as each morning the little people were more interested in building a den in the lounge than disturbing our sleep! On a Just for Tots breaks, the activities are much more focused on the under-5 age. There are craft activities and messy play all day long. The swimming pool and fairground are completely child oriented in the mornings. The meal times and shows are a bit earlier to accommodate any early risers. And, Little Tikes transforms spaces within the complex to make it a little people's world. Of course our three loved their break. Coming quick on the tail of our break in Minehead, the children were on cloud nine all the way to Skegness. It didn't seem to matter how long a drive it was- they knew what was at the end of the journey. The Skegness complex, the original Butlin's, of course features all the aspects we have come to love about Butlin's. It seems to be spread over a far wider distance. Our Gold apartment is described on the website as being New England style, and it met the brief. The complexes are all neatly sectioned off, with great parking. We were a bit nervous about booking so late and only first floor apartments being available, purely because we have a double buggy and I wasn't looking forward to getting it up and down the stairs. As it was, each complex has parking on one side, and ours meant we could just use the car as home for the buggy. The apartment itself was great, being able to compare it to a silver apartment at Minehead gave us a really good sense of what more you get for your money. It focuses on the 'little extras', the beds seemed more comfy, we had a dishwasher in the kitchen, the bathroom seemed more modern. The apartment seemed a bit more updated all round, and whilst I would happily stay in a silver apartment again, if we had the money I'd opt for the creature comforts of the gold! The gold apartments were all grouped at one end of the resort, and from there you walked down to the Skyline Pavillion, passing The Little Stars Studio, a children's play area, water park and Splash Waterworld. The Pavillion is home to the Skyline Stage, the Puppet Theatre, the Cinema and Centre Stage. 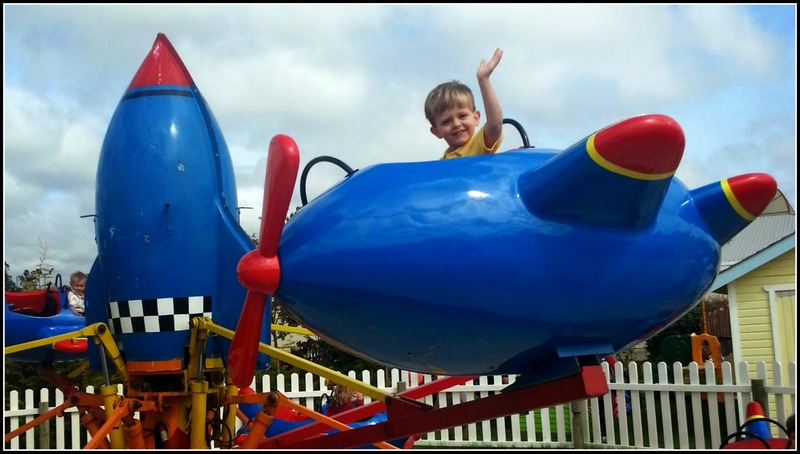 Further on, you'll find Reds, Soft Play, the Little Stars Fairground and Fairground, as well as the beach. And as always, because we compared Minehead to Bognor Regis, we couldn't help but compare the pluses and minuses of Skegness. We didn't manage to experience the times focuses for the little ones, instead going most afternoons. It is the best of all three Waterworld's! (Probably because it's the one that's more recently renovated). I loved that there is so much to do for all ranges and abilities. That there is a slide the boys could happy experience, there were water sprays, a lazy river, a seperate shallow pool, and of course, the wave machine. All in all it was just fantastic, because it had something for everyone to enjoy, plus from looking at the rides the children aren't old (tall) enough to go on, there's plenty to do for all ages. Skegness is the only resort where the Little Stars Fairground is outside, adjoined to the main Fairground. Whilst I'm not sure how I'd feel in poor weather (the same I guess as I'd feel if I had older children! ), it was so good for the little people to enjoy the rides in the fresh air. We also loved the Splash Park. You have to watch my video! Or just skip to the last quarter, so much fun. And the beach, of course all resorts are overlooking the sea, but Skegness had a fantastic 'prop park' which we loved nearly as much as the sand. For some reason I preferred the food at Minehead to Bognor Regis, Mr J thought there was no difference- they were both fantastic. But we are agreed the food at Skegness was far better. There seemed to be more variety, there seemed to be more food being prepared to order. And there seemed to be a lot more fruit and healthy options. I've no way of knowing whether this is true, but if you're at Skegness- eat at The Deck. And if you get to be greeted by Gayle every day- that just seems to make the day brighter (and maybe the food taste better?!). We loved the Just for Tots touches which kept the children entertained. I don't think Mr J nor I were overly keen on servers on some of the counters which could just have easily been self-service, it seemed to create random queues, but it did feel like service was key at Skegness. And what was I not so fussed on? I didn't like how far soft play was from the coffee shop. Oh, I know. It's minor. But I do love enjoying my only hot coffees at soft play, and I love the coffee shop at Butlin's (Soho Coffee), although Mr J was happy it didn't put such a dent in his wallet by being so far away! Overall, yes, it is the perfect holiday destination for families like us in the UK. And, of course if Butlin's Skegness was a little nearer, I wouldn't know how to choose with Minehead! Fortunately I think that's why the resorts are so well located! And Just for Tots- I feel like I haven't really covered it, and that's partly because it seemed the whole resort was set up to cater for Tots as though nothing was different. As we left the resort a little later than we should have (ssshhh!) I laughed as car loads of party goers arrived and stages were being set up for what must have been a themed adult weekend. And to be honest after coping with under-5's for the week, I imagine the Butlin's team were pleased of the change. I would definitely recommend the Just for Tots break if you are getting away with young children in term time. Opposed to other holiday resorts where you feel you are holidaying 'off season' it is great to have so much going on, and then all the activities which are being available because it's Just for Tots. 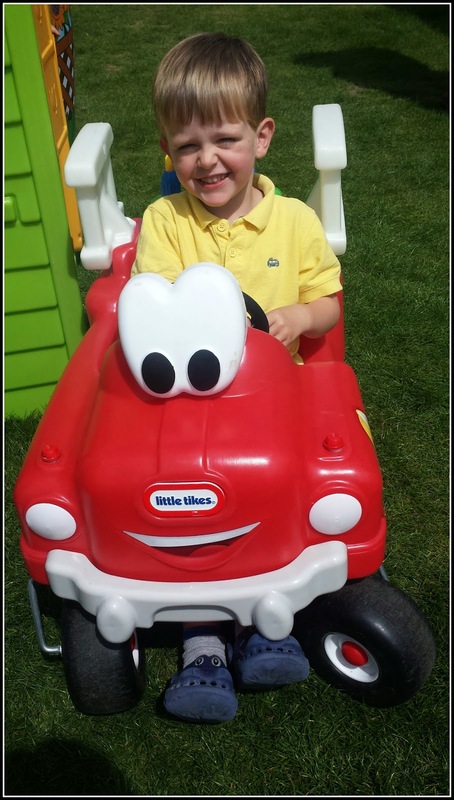 And, if like mine, there's nothing quite like the finding a Little Tikes car which you refuse to move from- it's a no-brainer! 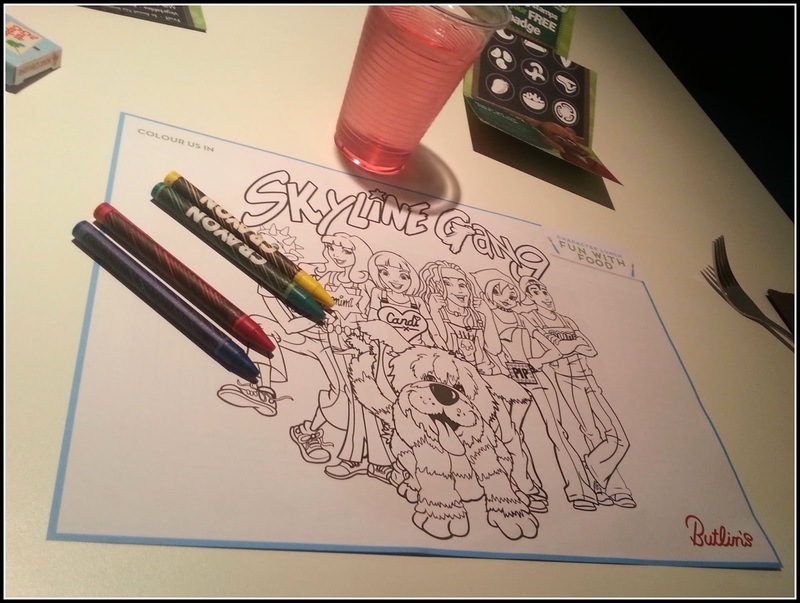 Disclosure: We were provided with a Butlin's Just for Tots break as part of our role as Butlin's Ambassadors. All views and opinions contained are our own.